Minister of Transport, Information Technology and Communications Rossen Jeliazkov expressed his confidence that the proposal for suppressing the texts, which envisages that drivers and vehicles must return to their home countries after every four weeks of driving, would most likely gain the necessary support. This became clear today after the Minister’s meetings in Brussels before tomorrow's vote on Mobility Package I at the Transport Committee in the European Parliament. He said that significant progress is expected in cross-trade operations as well as in the enforcement of a cabin truck ban to be postponed until there are enough resting facilities with secure parking. 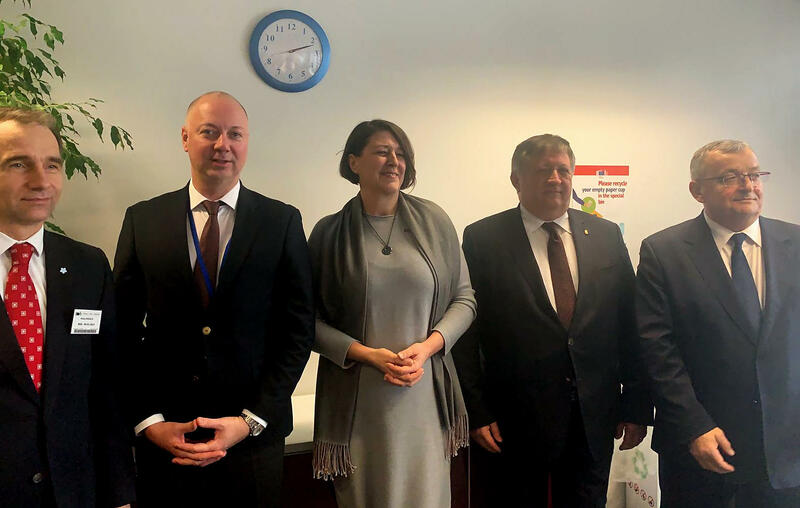 Minister Rossen Jeliazkov also said that Commissioner Violeta Bulc gave her assurance that the European Commission will commit to start building such areas in all Member States during the next period, which we call a "transitional period". Currently the Commission has drafted a map of the available and necessary areas, as the Bulgarian side insists no ban on using the weekly rest in the cabin until there are enough parking and rest areas. The Minister pointed out that the protest tomorrow is aimed at not exerting pressure but showing that the peripheral states are opposed to the proposals made in the Mobility Package I. "Our request is to make significant improvements within the framework of the parliamentary vote, if we fail to block the legislative proposal at this stage," he added.